Skatehaven USA is an "ALL SKATE" facility. This means that all patrons must wear skates at all times while in the building. No exceptions. Parent spectators ONLY. We offer Quad Rentals Only. 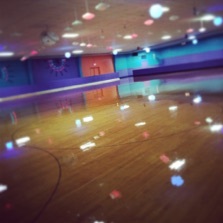 Skatehaven USA's top priority is to provide the triad and surrounding areas a safe and wholesome atmosphere for fun family entertainment. Dress and/or conduct that is too casual or rude and offensive to others will not be permitted.